The new Focus’s sporty character and driving appeal is burnished by a striking horizontal grille, a cockpit-inspired interior and available paddle shifters. 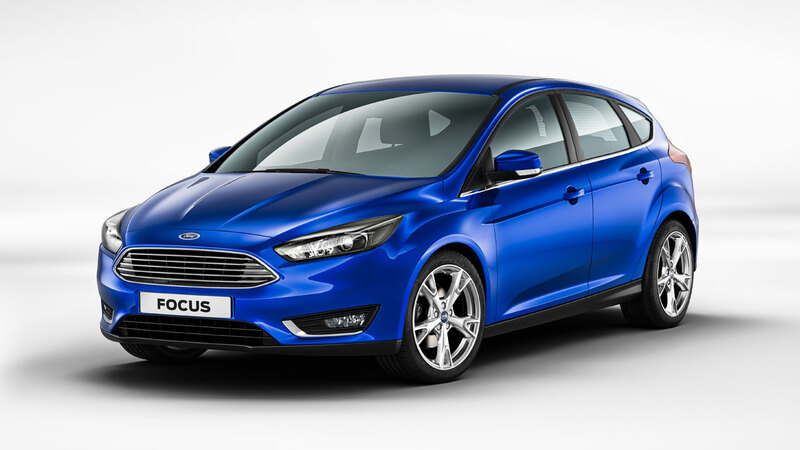 The new Focus, on sale from the second half of 2014, also marks the European debut of SYNC 2, Ford’s advanced in-car connectivity system, as well as the new 1.5-litre EcoBoost petrol and TDCi diesel engines. Ford first launched the Focus in 1998 and since then more than 12 million have been sold worldwide, including 6.9 million in Europe. The current Focus was confirmed last month as the world’s best-selling vehicle nameplate based on Ford’s analysis of the Polk registration data for the first nine months of 2013. Ford estimates Focus sales globally reached 1.1 million in 2013, including more than 300,000 in China, making it the best-selling passenger car in the fastest-growing new car market in the world. Ford has crafted a more sophisticated and advanced Focus with a redesign that reflects the One Ford global design language that carries through the new Mondeo and Fiesta. 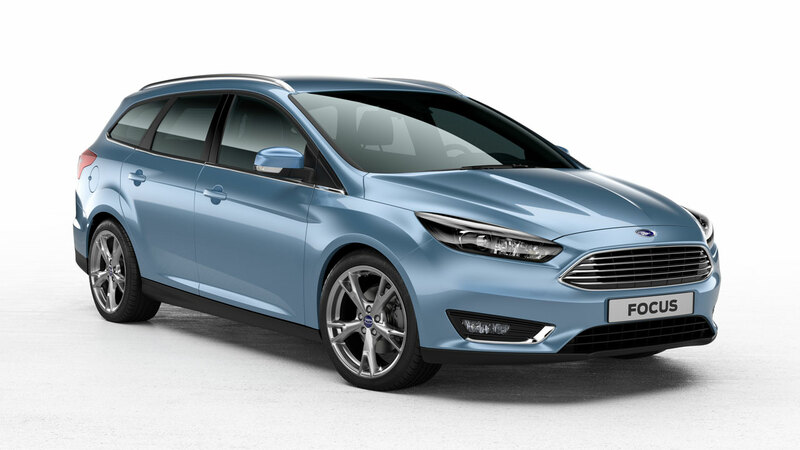 Available in additional new exterior colours Deep Impact Blue and Glace Blue, the new Focus has a lower, wider stance, with a new bonnet, front fascia and grille. The bonnet is sculpted with a dynamic shape from the front pillar to the corners of the upper part of the inverted trapezoid grille to deliver a strong, proud look. Slimmer, more chiselled front headlamps and more rectangular, elongated fog-lamps add to the bolder front end. Subtle chrome details add to the feeling of elegance while the rear of the car also is sleeker with a new fascia and tailgate arrangement, as well as thinner tail lamps. 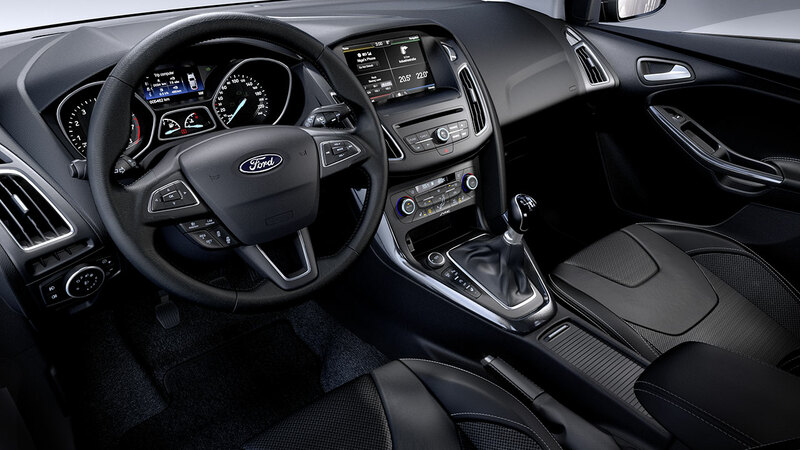 When redesigning the interior of the new Focus, Ford listened to consumer feedback and responded with a more intuitive layout, complemented by a steering wheel and central stack with fewer controls and switches. The new black satin trim and chrome detailing contribute to a cleaner, more modern look, and more logical and intuitive functions. The new centre storage console offers more space as well as a new sliding, integrated armrest. The new adjustable console accommodates a variety of bottles and cups with the capacity to simultaneously hold a 1-litre water bottle and a 0.4-litre cup. 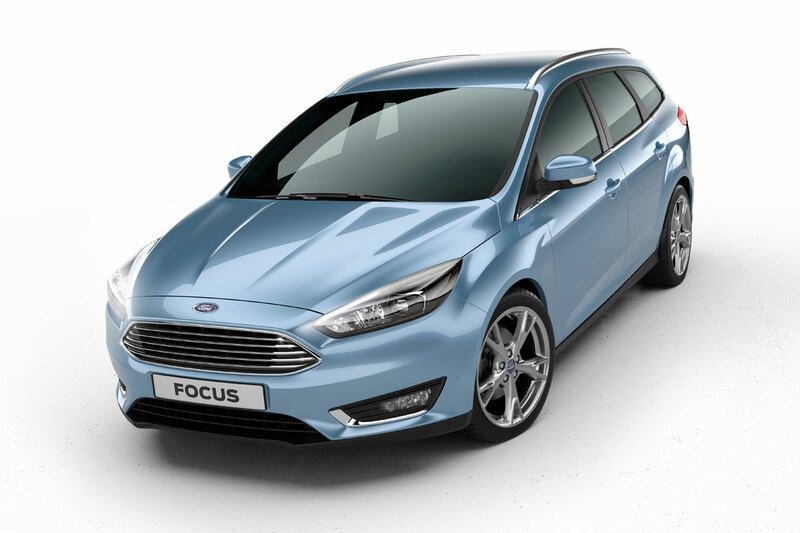 New Focus customers also will enjoy a quieter ride, achieved by thicker carpets, thicker side window glass, and improved engine bay insulation. “We’ve responded to a clear customer desire for more simplicity inside the car, creating a clearer visual connection between the key components and significantly reducing the number of buttons in the cabin,” Smith added. The new Focus will be the first vehicle in Europe to offer SYNC 2. 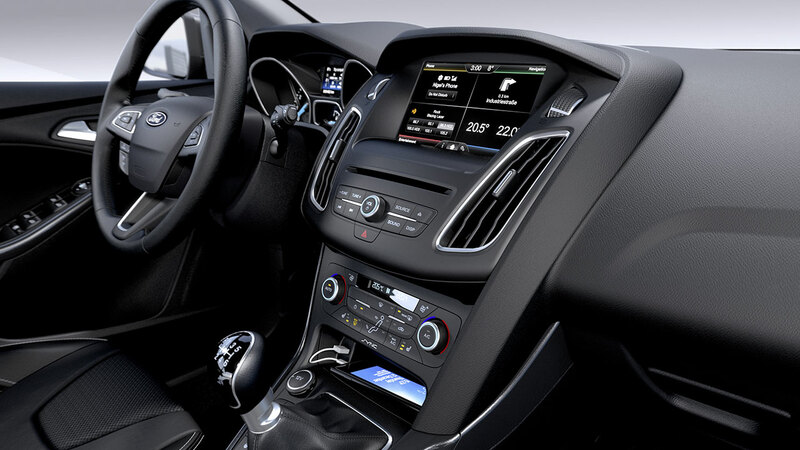 Ford’s advanced in-car connectivity system features a high-resolution, 8-inch colour touch screen and advanced voice control for easier access to audio, navigation, climate control and compatible mobile phones. SYNC 2’s navigation system also offers for the first time in Europe a split-screen display with detailed intersections, spoken street names, 3D highway junction and landmark views, and the MICHELIN guide and MICHELIN Green Guide. SYNC 2 enables drivers to issue simpler “one-shot” navigation destinations, and to ask the system to “play” a desired artist. Simply pushing the voice control button and saying “I’m hungry” will bring up a list of local restaurants, which you can then get directions to. 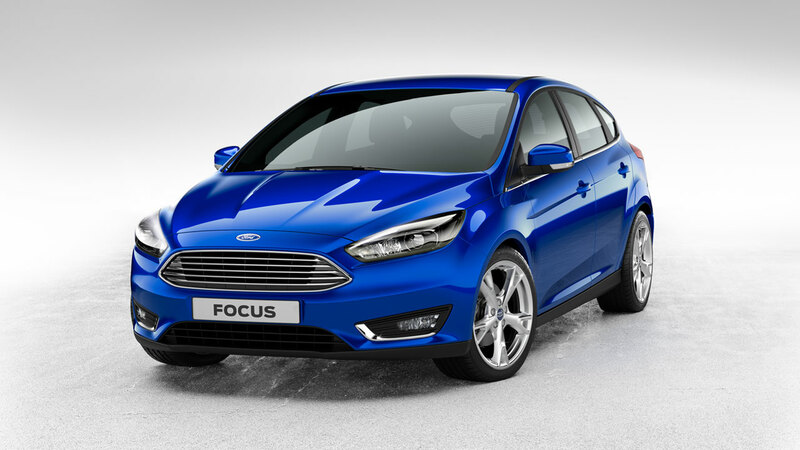 The new Focus takes the model’s acclaimed fun-to-drive DNA up a level with enhanced handling and steering. Ford engineers have delivered a more solid, responsive and connected-to-the-road feel by increasing the structural stiffness at the front, revising the suspension geometry, increasing lateral stiffness of “steering-relevant” suspension bushes, retuning the shock absorbers and incorporating a new Electronic Stability Programme. The Electric Power Assist Steering also has been retuned to make the driver feel even more connected to the road. The new Focus is the first Ford to offer Perpendicular Parking, a new hands-free parking technology that helps drivers reverse into spaces alongside other cars. The current Focus introduced parallel parking aid Active Park Assist that, at the push of a button, uses ultrasonic sensors to locate parking spaces and steer the vehicle while the driver controls the accelerator and brake. 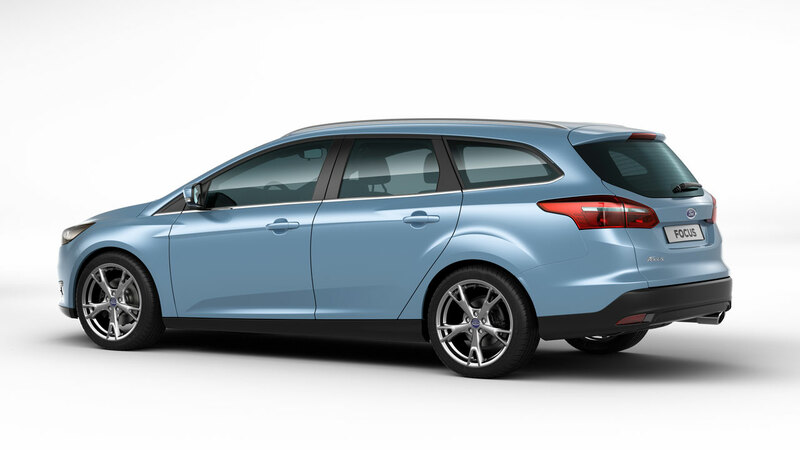 The addition of two new sensors to the rear of the new Focus enables Perpendicular Parking to operate in the same way. Ford also has improved its popular Active City Stop collision avoidance system, which pre-charges the brakes and – if the driver still does not respond – reduces engine torque and automatically applies the brakes to reduce the impact of collisions. It has been enhanced to operate at speeds of up to 50 km/h, compared to 30 km/h with the current version. Ford also is introducing to Europe the Pre-Collision Assist system. This works in a similar way to Active City Stop but with a much greater vehicle detection range to support the driver at higher speeds, for example on the motorway, by issuing warnings and if necessary applying braking. The current Adaptive Cruise Control technology enables Focus drivers to maintain a set distance from the vehicle ahead, even when that vehicle is travelling more slowly than the cruise speed. For occasions when Adaptive Cruise Control is not active, Ford is now introducing to Europe for the first time the new Distance Alert and Indication system, which enables drivers to set a preferred distance they would like to maintain with the vehicle ahead. Should the driver get any closer, the system issues a three-stage dashboard display warning – from grey to yellow to red before a chime is sounded. 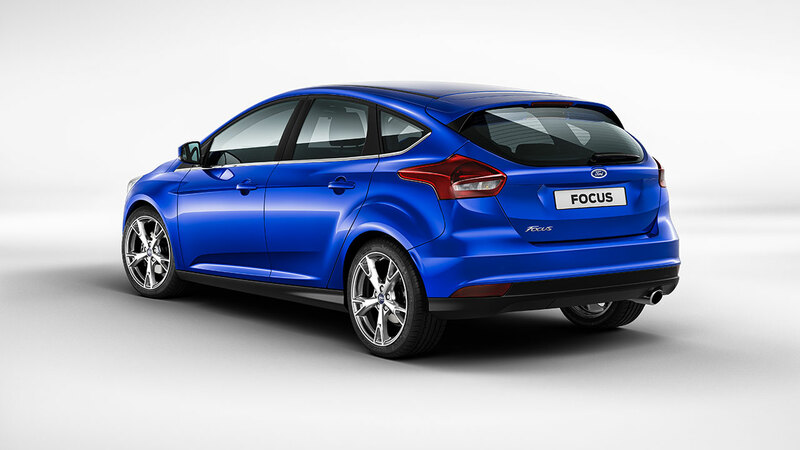 New Focus also will be equipped for the first time with Ford’s MyKey technology. MyKey enables owners to programme a key – usually for younger drivers – that restricts the top speed, reduces the maximum volume of the audio system, and can disable it altogether if driver and passengers are not using safety belts. The system can prevent the driver from deactivating safety technologies such as Electronic Stability Control and Active City Stop, which can help mitigate or prevent low-speed collisions. The improved Adaptive Front Lighting System now adjusts the beams of the new Bi-Xenon HID headlamps to best suit the road layout. The system assesses the ambient light surrounding a vehicle, as well as objects in the road ahead and then adjusts the headlight beam angle and intensity to one of seven settings depending on the vehicle’s speed, steering angle and distance to an object in front. At high speeds, such as on a motorway, the headlights will be raised to project a longer, straighter beam for visibility further ahead; in towns where speeds are lower and street lighting more intense, the beam will spread out downwards to more intensely illuminate the road immediately ahead. When cornering at lower speeds, the system will project a beam towards the side of the road to make cyclists and pedestrians more visible. The system will support drivers cornering at higher speeds by directing light further into the bend. The new Focus will continue to offer previously introduced innovative features that drivers have come to appreciate and rely on, such as Door Edge Protector, which provides a buffer against accidental damage by extending a protective flap that covers the door edges a split-second after the door is opened. The new Focus offers significantly improved fuel efficiency on many versions compared to the current model thanks to new powertrain options. The most improved diesel model will offer a 19 per cent reduction in fuel consumption, while the most improved petrol model will offer a 17 per cent improvement. The new Focus will be the first vehicle in Europe to offer the fuel efficient new 1.5-litre EcoBoost (150 PS and 180 PS) petrol engine and also will be offered equipped with the new 1.5-litre TDCi (95 PS and 120 PS) diesel engine. The Focus will continue to be offered with the 1.0-litre EcoBoost petrol engine (100 PS and 125 PS) that last year was chosen by a third of Focus customers, and was named the 2012 and 2013 International Engine of the Year. There will also be a new version of the 99 g/km CO2 1.0-litre EcoBoost, the first non-hybrid petrol family car in Europe to offer sub-100 g/km CO2 emissions. The 120 PS 1.5-litre diesel PowerShift automatic that will be introduced next year will offer a 19 per cent improvement compared to the equivalent-powered current Focus. The new Focus equipped with the automatic transmission and award-winning 1.0-litre EcoBoost engine that also will be introduced next year will offer a 17 per cent improvement over the equivalent powered engine it will replace. A 150 PS 2.0-litre TDCi diesel model will show a 14 per cent improvement when specified with a manual gearbox (13 per cent with an automatic transmission). 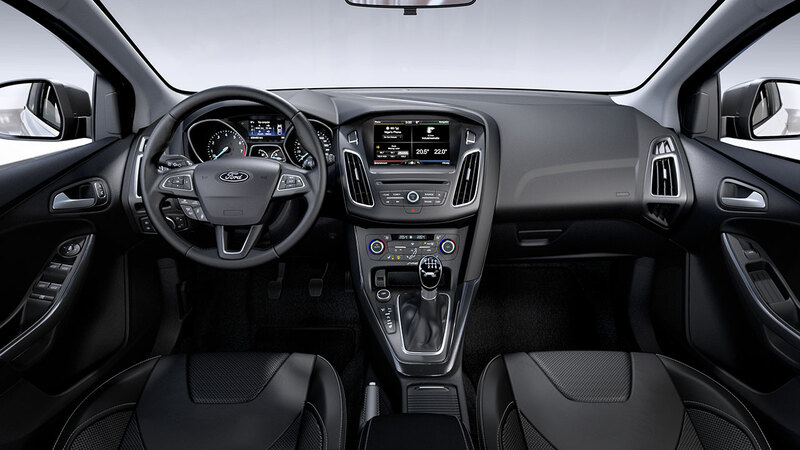 The new Focus also will be available with paddle-shift controls that enable drivers to control gear changes while keeping their hands on the steering wheel. Paddle-shift controls will be available as an option with all automatic and PowerShift transmissions, both diesel and petrol. To meet growing customer demand for Focus, which is sold in more than 140 markets, Ford has now ramped up capacity worldwide to build the car in eight plants on four continents. Factories in Germany, U.S., Russia, China, Thailand, Vietnam, Taiwan and Argentina have a combined capacity to produce more than 1.5 million Focus vehicles annually at a rate of more than two vehicles per minute. In Europe, Ford builds a new Focus every 90 seconds.